The need for oil in Asia’s new industrial powers, China and India, has grown dramatically. The New Kings of Crude takes the reader from the dusty streets of an African capital to Asia’s glistening corporate towers to provide a first look at how the world’s rising economies established new international oil empires in Sudan, amid one of Africa’s longest-running and deadliest civil wars. For over a decade, Sudan fuelled the international rise of Chinese and Indian national oil companies. But the political turmoil surrounding the historic division of Africa’s largest country, with the birth of South Sudan, challenged Asia’s oil giants to chart a new course. 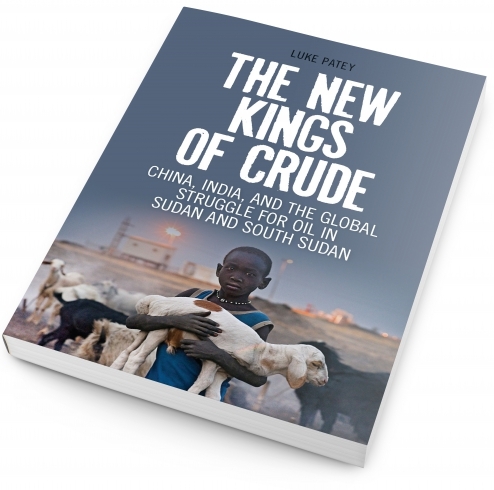 Luke Patey weaves together the stories of hardened oilmen, powerful politicians, rebel fighters, and human rights activists to show how the lure of oil brought China and India into Sudan—only later to ensnare both in the messy politics of a divided country. His book also introduces the reader to the Chinese and Indian oilmen and politicians who were willing to become entangled in an African civil war in the pursuit of the world’s most coveted resource. It offers a portrait of the challenges China and India are increasingly facing as emerging powers in the world. Luke Patey is senior researcher at the Danish Institute for International Studies and Lead Senior Research Fellow at the Oxford Institute for Energy Studies, University of Oxford.